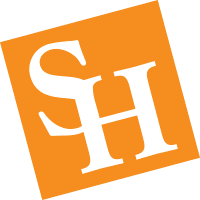 1. be a student in good standing enrolled at Sam Houston State University. 2. majoring in one of the above disciplines. 3. maintain a g.p a. of 3.0 or above. 4. submit two letters of recommendation. The recipient will be selected by members from the English, History, Political Science, or Sociology departments and. 2. be at least of junior status. 3. maintain a g.p.a. of 3.0 or above. 2. all applicants must have proof of tribal membership. 2. live in one of the below listed counties. Awarded to majors in history and must live in one of the listed counties: Anderson, Angelina, Bowie, Cass, Cherokee, Hardin, Harris, Houston, Jasper, Jefferson, Liberty, Nacogdoches, Newton, Orange, Panola, Polk, Rusk, Sabine, San Augustine, San Jacinto, Shelby, Trinity or Tyler. 2. live in one of the above listed counties.